Split the vanilla pod and scrape out the seeds. In a saucepan bring to the boil milk, ⅔ of the sugar, vanilla beans and the pod. Separate the egg yolks and whisk with the remaining sugar until you achieve a consistency of a runny crème. 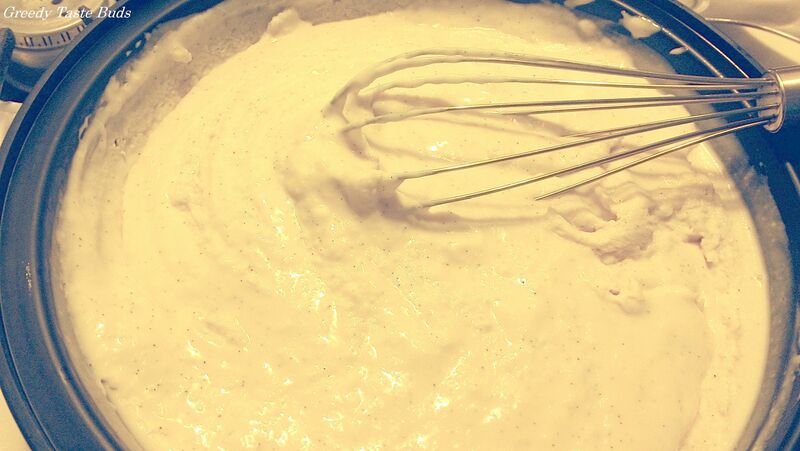 After removing the vanilla pod, slowly pour the sweet milk mixture into the eggs, continually whisking. Return to the saucepan and cook over a low heat, stirring with a wooden spoon until the crème anglainse lightly coats the back of the spoon. It should leave a clear trace when you run your finger across it. 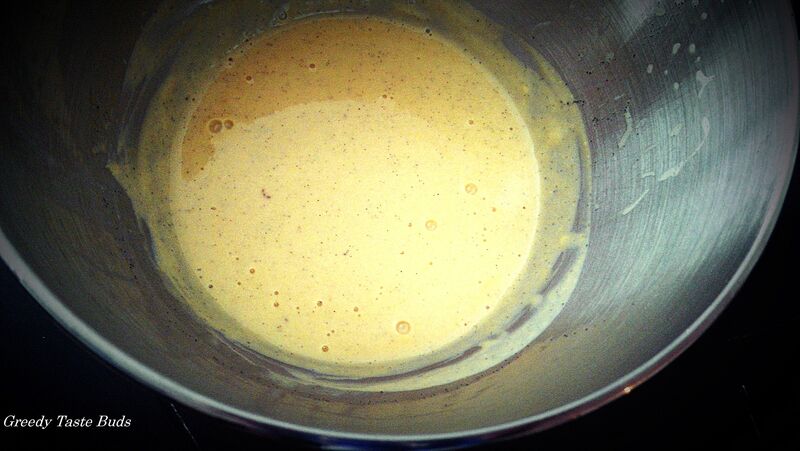 Don’t over-cook it or the mixture will churn and split. Transfer to a bowl and allow to chill in the fridge. When cold, combine with the cream and pour into freezer-safe container. Place in the freezer for 30 minutes, then take it out and stir to prevent water cristalisation. Repeat this twice more; you will see a difference in consistency (see pictures above). Leave in the freezer until sets completely. I prepared some port wine and blueberry reduction* to serve with it. 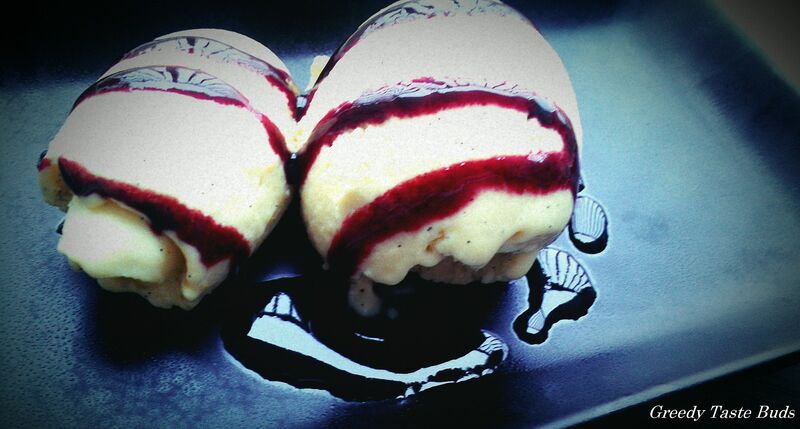 The sharp flavours of wine and berries help cut through the sweetness of the ice cream. * Blitz ⅓ cup red port wine, ⅓ cup blueberries, 1 tablespoon of sugar and a squirt of lemon in a food processor. Strain and boil in a saucepan over a medium heat until it thickens to a light syrup.